This house sold in one day. After a decade of the worst real estate recession I’ve experienced in my life over the past four decades, the real estate market in the Sequim area has come back to life. Over this past decade homes sat on the market for months and even years before they sold, but we are living in a different world now. I’ve represented a number of buyers during this past year who bought homes that sold in one day. We are clearly in a seller’s market, but that doesn’t mean buyers are bidding against each other for homes in the Sequim real estate market, and buyers are not having to pay unreasonable prices either. You can still buy an existing home for less than it would cost to buy land and have a home built, but prices have been creeping upward, and since 2013 the best homes (the homes retirees love the most in the best areas) have increased in value by 20% to 30%. All this means it is harder to compete in this market for buyers. 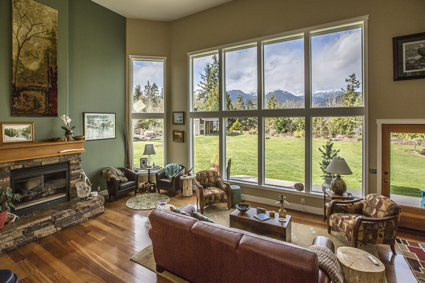 Buyers are having to watch the Sequim MLS listings daily to watch for new listings, and when they find the ideal home on the market, they have to move quickly or it will be another home sold in one day . . . to someone else.